Chairman of the Azerbaijani parliament Ogtay Asadov met with Chairman of the Iranian parliament Ali Larijani in Turkey’s Antalya city, the Azerbaijani parliament said in a message on Oct. 11. According to the message, the views on the development of relations between the legislative bodies of the countries were exchanged at the meeting within the third gathering of the chairmen of the parliaments of the Eurasian countries. The sides appreciated the dynamics of development of relations between parliaments. The views on the North-South transport corridor were exchanged during the meeting, at which the prospects for the development of relations between the countries were touched upon. 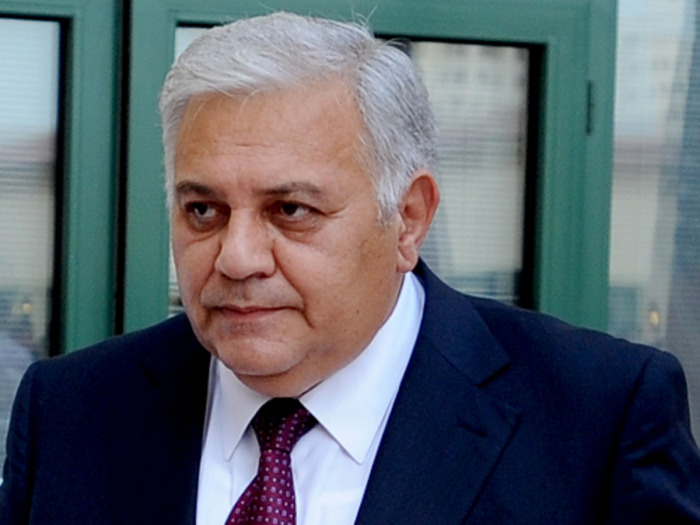 Asadov stressed that the Baku-Tbilisi-Kars railway creates big prospects for the North-South transport corridor. The third meeting of the chairmen of the parliaments of the Eurasian countries was held in Antalya with the organizational support of the Grand National Assembly of Turkey. At the meeting which was held under the motto "Economic Cooperation, Environment and Sustainable Development in Eurasia", Azerbaijan was represented by a delegation led by Chairman of the Azerbaijani parliament Ogtay Asadov. The Azerbaijani delegation also included chairman of the committee of the Azerbaijani parliament Ali Huseynli, MPs Khanlar Fatiyev, Agalar Valiyev, head of the parliament’s office Safa Mirzoyev and others. Over 350 people, including representatives of parliaments of 39 countries and a number of international organizations attended the event. In conclusion, a declaration was adopted. The dialogue of the chairmen of the parliaments of the Eurasian countries, which was launched two years ago in Moscow and continued last year in Seoul, has become a tradition. Azerbaijan takes an active part in this process.